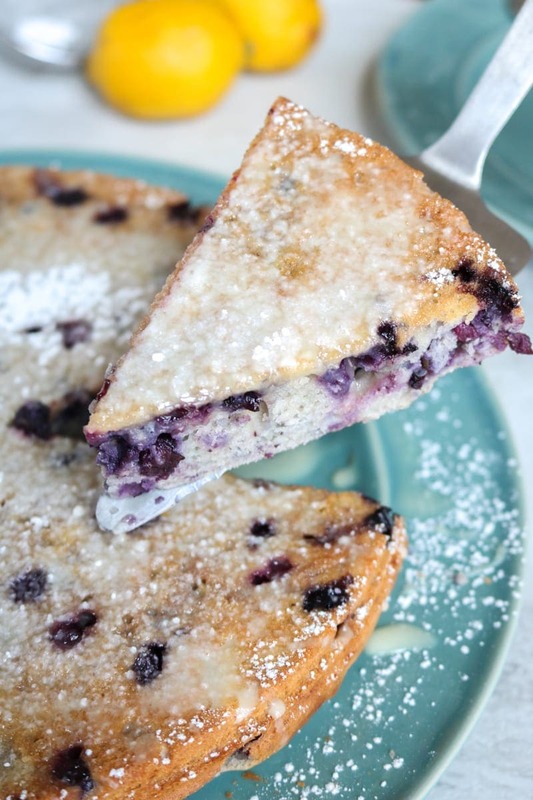 This Blueberry Coffee Cake makes a perfect healthy addition to any brunch! A tender, whole wheat cake that is naturally sweetened with a secret ingredient and given a bright taste with the addition of a sweet lemon glaze. No one will guess this delicious coffee cake has been given a healthier make-over. If you are looking for more delicious baked goods, check out Blueberry Muffins, Carrot Cake Muffins, or Lemon Scones. My absolute favorite meal of the day is brunch. And truly, what is not to love about a brunch? 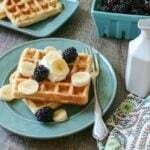 Delicate foods that are both savory and sweet and a relaxing environment that lends itself well to sipping on mimosas, or lattes. 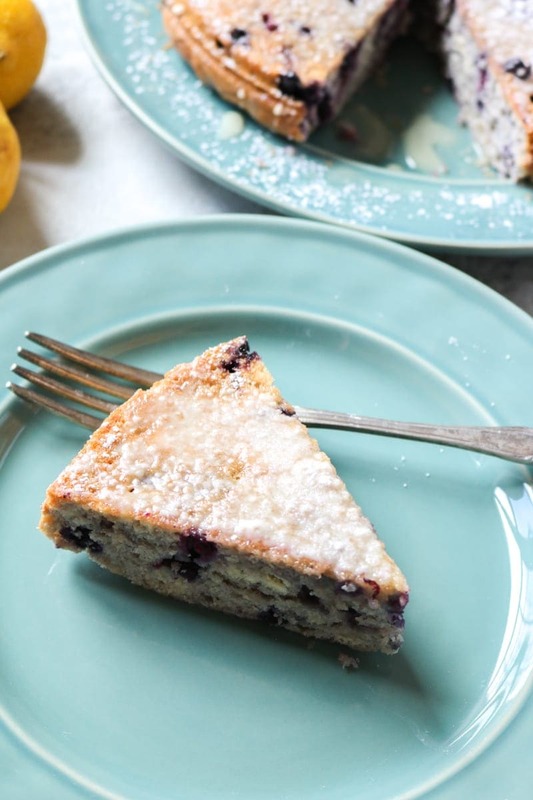 My ideal brunch would take place in a garden that was bursting with spring blooms on a sunny morning with a warm breeze while my friends and I dined on Southwestern Sweet Potato Hash, Mediterranean Frittata, and this Blueberry Coffee cake. 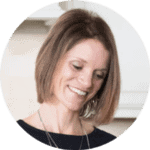 Today I am sharing with you a spin off of one of my family’s favorite muffins, Whole Wheat Blueberry Muffins. I took the base of my muffins and tweaked it just a bit to turn it into a tender, light coffee cake. This coffee cake is light and fluffy and bursts with fresh blueberry flavor. But yet, it is on the healthier side. Minus the lemon glaze, this coffee cake has no added sugar, it is made with whole wheat flour and it is dairy free. But the MOST important thing is this coffee cake tastes SO good! Preheat oven to 350 degrees. Grease an 9 inch cake pan or springform pan well. Mix together the eggs, oil, vanilla, and juice until well incorporated. Cool on baking rack for 15 minutes. While cake is cooling, make the lemon glaze. Add in lemon juice and stir until thin glazed is reached. You may need to add a dash of water or a bit more powdered sugar depending on how juicy your lemon is. ProTip: microwave your lemon for 20 seconds to get the juice flowing. I use a mixture of whole wheat flour and white wheat flour for this healthier coffee cake recipe. You can use all-purpose flour as well. If you want this to be 100% whole wheat, I recommend using a whole wheat pastry flour. Grape juice is my secret to keeping this cake sweet and dare I say, moist. You can use any 100% berry blend juice you like. If you are afraid your juice will make your cake look dark or purplish, use 100% white grape juice–that will not color your cake at all. Any mixture of berries work for this recipe. If you choose to use frozen berries, mix them into your flour completely frozen. Do NOT defrost your berries before preparing the coffee cake. This cake can be stored at room temperature for 24-36 hours. After that, it will keep in the fridge for up to 5 days. It is best to not glaze the cake with the optional lemon glaze, until right before serving. Preheat oven to 350 degrees. Grease an 8 inch cake pan or springform pan well. Mix together the eggs, oil, vanilla, and juice until well incorporated. Stir into dry ingredients until just combined. Spread batter into prepared pan and bake for 30-35 minutes or until a toothpick inserted in center comes out clean. While cake is cooling, make the glaze by sifting powdered sugar into a bowl and adding the lemon juice to it. Stir until a thin glaze is reached (you may need to add a dash of water or a bit more powdered sugar depending on how juicy your lemon is). Grape juice is my secret to keeping this cake sweet and dare I say, moist. You can use any 100% berry blend juice you like. If you are afraid your juice will make your cake look dark or purplish, use 100% white grape juice. Any mixture of berries work in berry coffee cake. Even frozen berries work. If you choose to use frozen berries, either mix them into your flour completely frozen or if you defrost them first, drain off excess liquid. There is nothing better than guilt free coffee cake. Honestly, we all need more of that! Looks delicious! Thanks Kimberlie. I hope you enjoy! I love how this is a healthier coffeecake! Less guilt and more pleasure is always a good thing! What a great coffee cake, and I love that it is whole wheat! Love the heathy twist on this cake! Sugar free, whole wheat options is always great to have especially when hosting guests. It is great to always offer a healthy, tasty treat! I love baking with wheat berries but haven’t used them in a cake before. It’s a great idea for breakfast. Thanks, I bake with them all the time! I love the healthy twists you gave this coffee cake! No guilt going back for seconds! 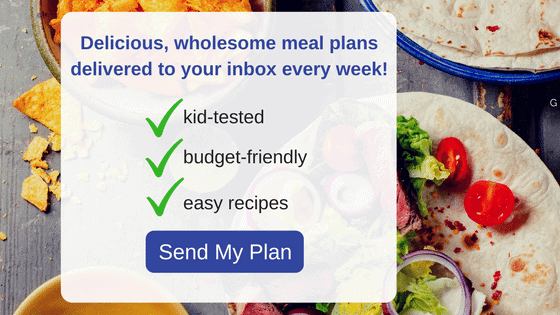 I love that you used coconut oil in this – it goes so beautifully with blueberries. One question – what’s the difference between the first 2 ingredients? Or is that a duplication? Great way to make a healthy cake, sounds great! I love that berries sweetening this yummy cake! Thanks Cindy–it is amazing how sweet the berries make this cake naturally! What a lovely, guilt-free coffee cake with great flavor. So pretty. I was so surprised with the grape juice. Perfect spring brunch food! Thanks so much Allie. The grape juice adds so much flavor and sweetness. What a great idea! i’ll have to make this for my hubby for breakfast one day soon. He likes to have something sweet for breakfast and I like that’s so healthy! Yes, he will never know it is so healthy! This looks amazing and it’s healthy??? This cake sounds fabulous! I love the lemon! Looks and sounds delicious, I love lemon glazed things as well! The lemon adds such brightness! I love the heartyness of the whole wheat berry and the light lemon glaze. So delicious. Loved the combo and the cake obviously Thanks for sharing dear. Thank so much! Hope you enjoy! Lemons and blueberries together are some of my favorite things. This whole wheat blueberry coffee cake is perfect in the morning with my cup of coffee! This was so delicious! I am enjoying a piece right now with my morning coffee! I wish I was there with you! Coffee and coffee cake are the best combo!